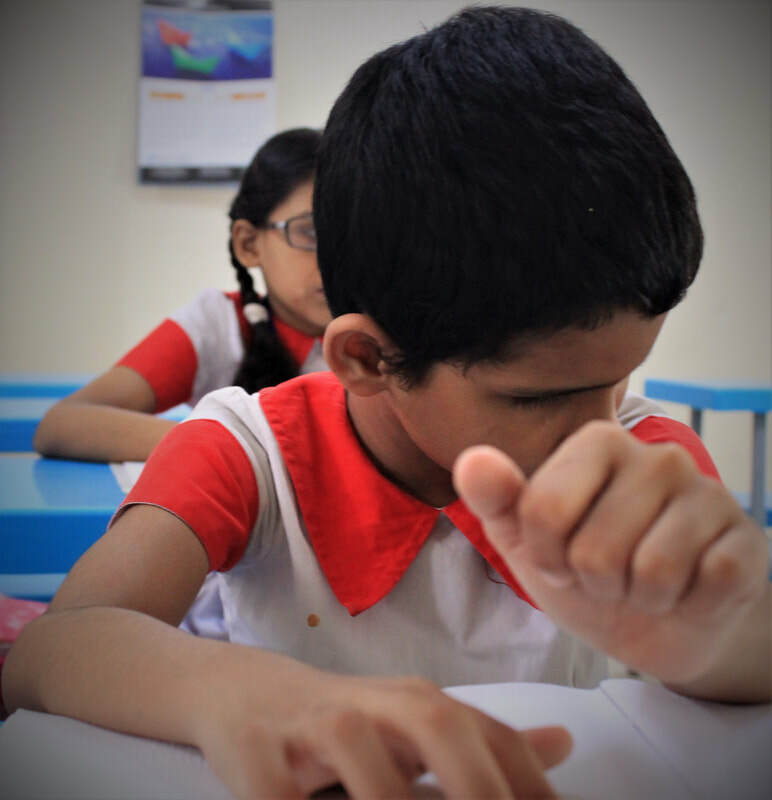 The school provides Braille text books and education material to the students. The school has 16 teachers. Students enjoy the lesson with practical knowledge and experience. Teachers and students organised activities to celebrate national days such as International Mother Language Day (21th February), National Independence Day (26 March), National Victory Day (16 December). Students present cultural programs in pohala boishakh (14 April, Bangla new year). The students visit different important places to gather knowledge. As a part of co-curriculum this year they visited Army Museum, National Parliament. The school celebrated the international Children Safety Day in October with the students. There is a hostel for girl students who live outside of Dhaka. The hostel is in the BMIS compound. The hostel can house up to one hundred students. A full time Housemother supervises the hostel and takes care of the residential girls. There is enough staff to cook, clean and support the girls to maintain activities in their daily life. Housemother and other staff also enjoy residential facility of the hostel. The BMIS authority provides necessary services such as foods, clothes and medical treatment to the residents. Girls who come from poor and disadvantaged families live in this hostel. The school bears their cost of food, clothes and other daily necessary living items. The girls contribute through carrying out various hostel’s chores such as cooking food and cleaning the house/rooms and the campus. BMIS has established a rehabilitation center for blind girls/women at Pakirchala, under Bhaluka sub - district in the district of Mymensingh. Since it's inception the rehabilitation center was used to provide services from the rehabilitation centre targeting beneficiaries such as street beggars, poor blind girls, helpless and visually impaired women. The braille press is the heart of the organisation. Most of the text books have been printed in the press these days. The press publishes 6 editions of bi-monthly Braille magazine. The school opened six story books and poetry in the national book fair in 22 February supported by the Rotary Club of Dhaka North East. Different organisations have funded to publish Braille story books for the girls. Additionally the Braille press is used to print the necessary resources of the class and supply the needs of Braille materials according to the need of students.